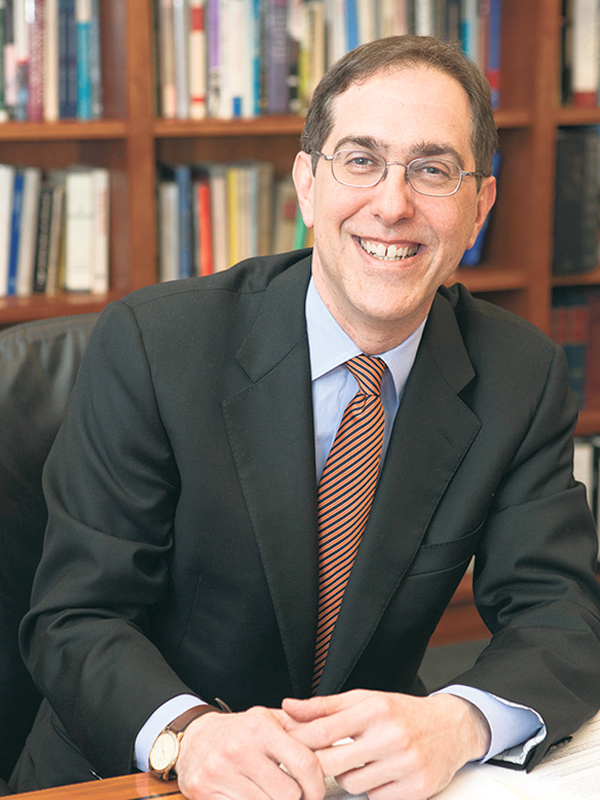 “Jewish life at Princeton is thriving,” said its president, Christopher Eisgruber, who was raised Catholic and learned of his Jewish heritage in 2008. Back in 2008, when he was helping his son Daniel with a homework assignment, Princeton University president Christopher Eisgruber experienced the shock of a lifetime. He discovered he was Jewish. But a secret came to light when one of Daniel’s teachers asked students to look for relatives who immigrated to the United States through Ellis Island. As father and son searched its on-line archives, they discovered the word “Hebrew” next to her name on the log of the ship that brought her family to America. That discovery will be the core of a speech he will deliver at Congregation B’nai Jeshurun in Short Hills on March 4 during its 5:30 p.m. Shabbat service. “I am going to reflect on the nature of identity and ask people to consider how it is that we can simultaneously celebrate our common humanity and our particular identities,” he told NJ Jewish News in a Feb. 22 phone interview. His mother, Eva Eisgruber, was born to a Jewish family in Berlin in 1932. As ominous signs of Nazism began to grow, her family fled to Paris in 1934, and then to the United States six years later. But she never acknowledged it before she died in 2003. “She desperately wanted to make sure we never found out,” he said. After learning of her past in 2008, Eisgruber’s astonishment turned into celebration. But he does partake in some Jewish rituals. “We do a seder every year and I have attended bar mitzvas for friends’ kids. On one occasion, I went to Florida for an 83-year-old cousin’s very moving second bar mitzva ceremony, but I am not religious in a conventional sense,” he said. 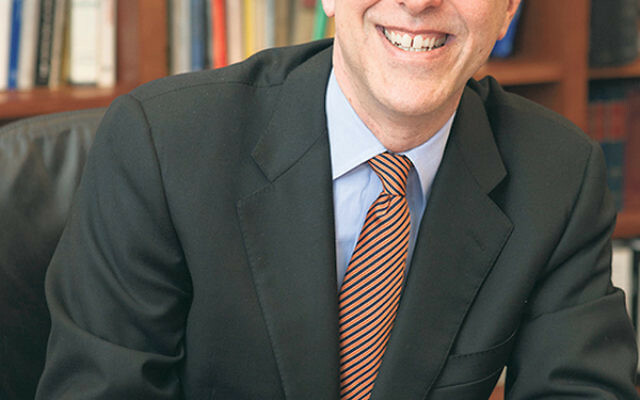 Eisgruber, who became Princeton’s president in 2013, served as its provost for 12 years. He has a diverse academic career that includes a bachelor’s degree in physics from Princeton, a master’s in politics and a Rhodes Scholarship from the University of Oxford, and a law degree from the University of Chicago. He served as a law clerk for United States Supreme Court Justice John Paul Stevens and taught at New York University’s School of Law for 11 years before joining the Princeton faculty. He governs a university where debate over Israeli and Palestinian issues is often heated. Just two weeks ago the Princeton DREAM Team, which advocates for immigrant rights, joined with the Princeton Committee on Palestine to create a two-sided wall on McCosh Walk, a central part of Princeton’s campus. One side represented the U.S.-Mexico border fence. The other symbolized the West Bank security barriers. The wall was strongly opposed by a rival student group, Tigers for Israel. In April 2015, a divided student body voted down an Israeli divestment referendum, 52 to 48 percent. To Eisgruber, such debates reflect “healthy interaction on this campus. College is a place where debates should take place, and these are important issues.” Yet he personally adopts a position of neutrality on some off-campus controversies. “I have to be the president of Princeton for all of our students and alumni, but I believe in continued engagement with scholars around the world, and that includes Israel,” he said. He has made two trips to Israel, one last year to visit the Technion and the Interdisciplinary Center in Herzliya. “I am comfortable standing up for the importance of those continued connections,” he said. During his first visit several years ago, he crossed the Green Line to visit the Palestinian city of Ramallah, and then returned to speak about the experience at Princeton’s Center for Jewish Life. “They put together a dinner that included both Jewish and Muslim students. Students are going to get passionate about things, but I think the relationships here are healthy,” he said. In earlier decades, Princeton had a reputation as an anti-Semitic institution with quotas on Jewish students and faculty. Eisgruber said that is no longer the case.